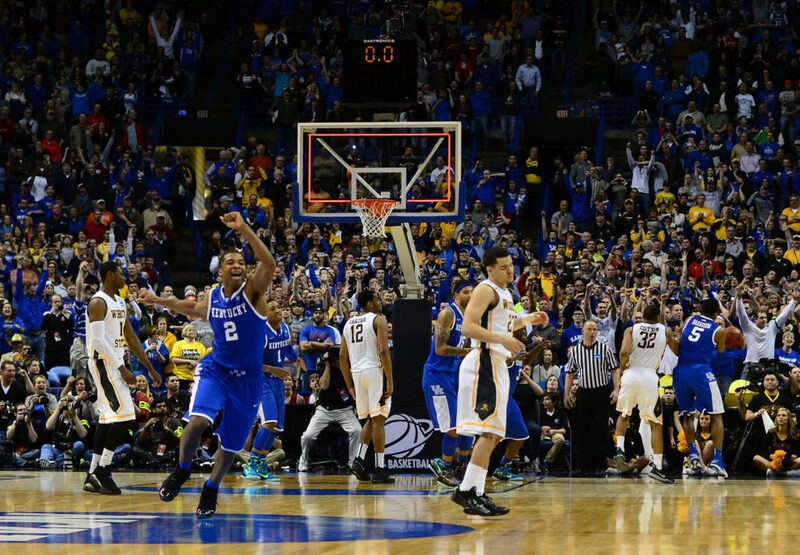 In one of the more dominating performances by an underdog in tournament history, the No. 11 seed and emotionally-charged Lions pounded the defending champions. 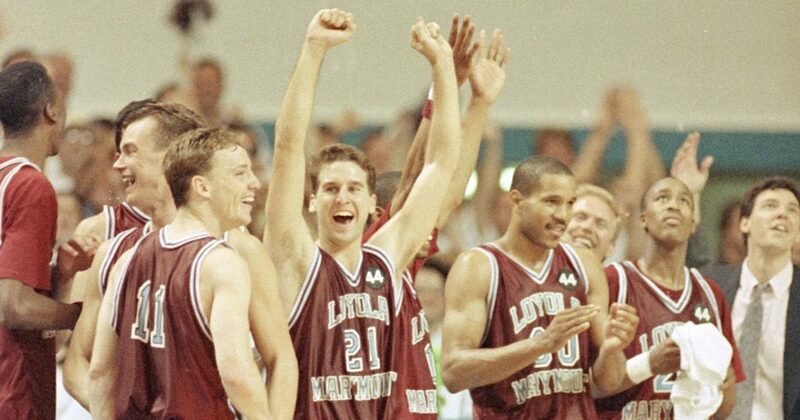 Just days after the tragic death of star Hank Gathers, LMU rolled past New Mexico State in the first round and made a record 21 three-pointers, including 11 from Jeff Fryer, versus Michigan. Fryer finished with 41 points while teammate and inspirational leader Bo Kimble added 37 in the rout. 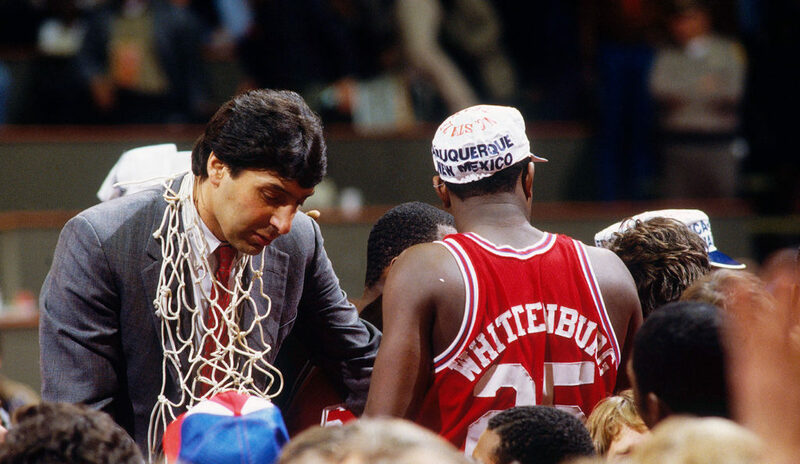 The Wolfpack’s memorable run to the National Championship nearly ended before it started. After rallying to force overtime, N.C. State trailed by six in the first extra session but forced the Waves to put the game away at the free throw line. They were unable to. The Wolfpack, meanwhile, rallied to reach a second overtime, and ultimately earned the win thanks to key free throws down the stretch from star Dereck Whittenburg. 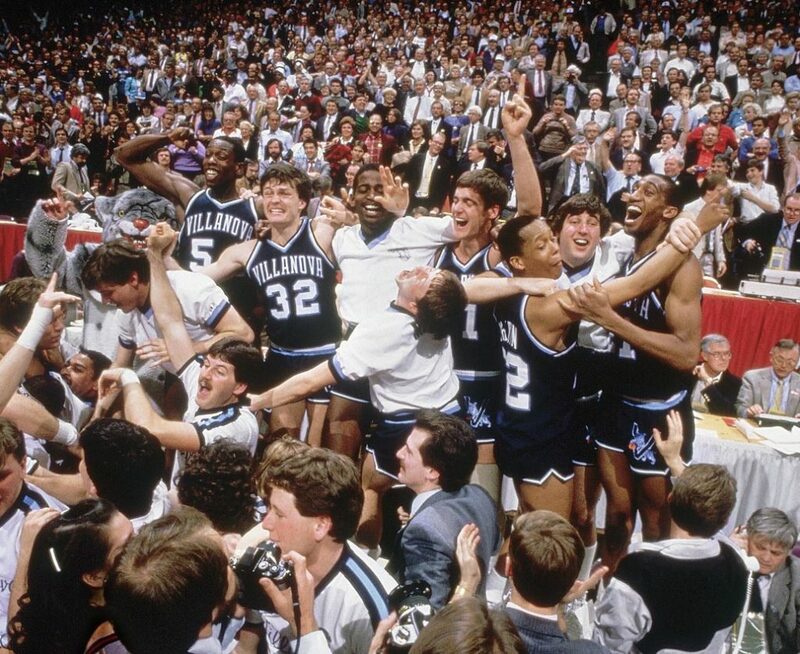 In one of the greatest upsets in NCAA Tournament history, Harold “The Show” Arceneaux was practically a one-man show while scoring 36 points — leading the Wildcats to a shocking win over the mighty Tar Heels. Arceneaux also hit some key free throws and made a game-saving steal down the stretch. He scored 32 in the next round versus Florida, but Weber State fell short of another upset. The regional finals of the 2005 tournament featured some of the most entertaining basketball in recent history. The Spartans and Wildcats did their part. Michigan State trailed at halftime, but climbed back for a chance to win in regulation. 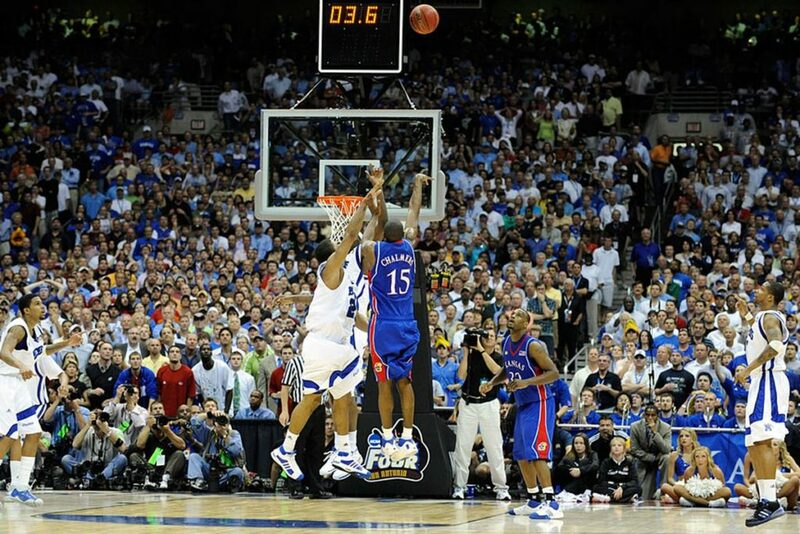 However, Kentucky’s Patrick Sparks hit a somewhat-controversial three-pointer at the buzzer to send things to overtime. 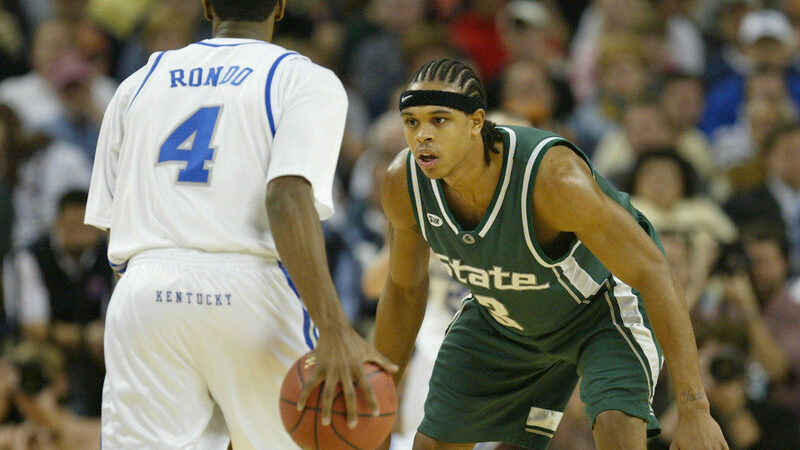 Behind 24 points from Shannon Brown, the fifth-seeded Spartans eventually prevailed. It was bound to happen, right? A No. 16 seed would beat a No. 1 at some point, but many didn’t think a disciplined, well-coached squad like Virginia would be the one to fall. That’s why we love March Madness, as anything truly can happen. Out of the America East Conference, the 25-11 Retrievers shot 54.2 percent from the field, made half of their 24 three-point attempts, and scored 53 second-half points to not only stun the Cavaliers, but blow them out of the gym. 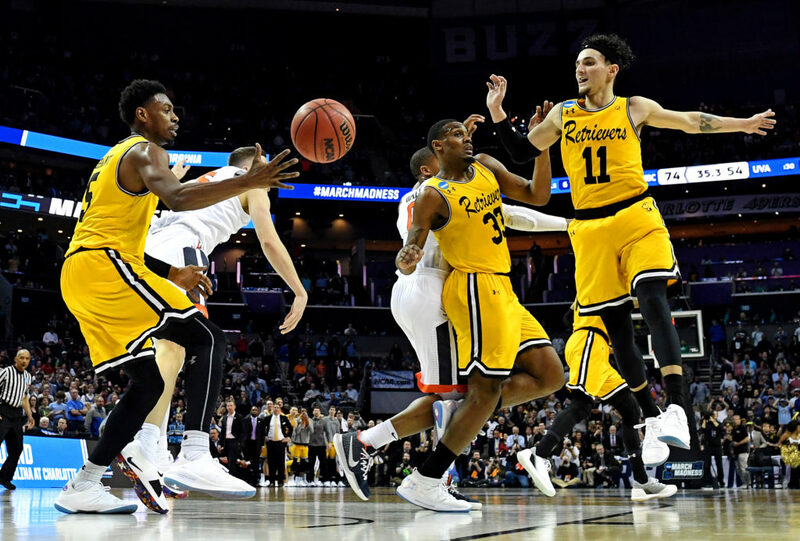 The NCAA Selection Committee didn’t do the top-seeded and undefeated Shockers any favors by placing them atop a bracket where they could face Kentucky in their second game. That ended up being the case, but the contest proved to be an instant classic. Tight and well-played throughout (both teams shot over 53 percent), the eighth-seeded Wildcats went ahead late and Wichita had one last chance to remain perfect, but Fred Van Vleet’s last-second shot clanked off the rim. One of the more improbable NCAA Tournament runs was made by the 11th-seeded George Mason Patriots. Despite a severe height disadvantage, the Patriots outrebounded No. 1 UConn 37-34 and overcame a 12-point first-half deficit to force the extra session — where they ultimately pulled off the upset and advanced to the Final Four. 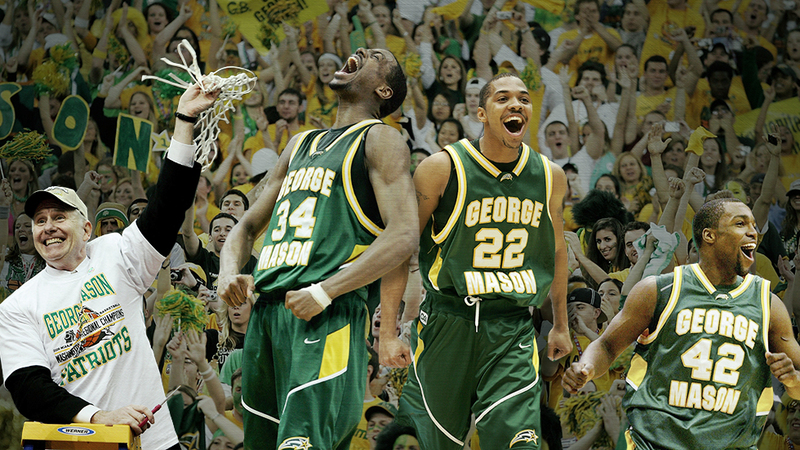 At the time, George Mason became just the second double-digit seed to make the Final Four. Sticking with the underdog theme, Butler nearly completed its Cinderella run with a championship less than six miles from their Indianapolis campus. Despite shooting 34.5 percent, the Bulldogs rallied to put the heat on the Blue Devils late. They almost stunned the college basketball world as Gordon Hayward’s half-court shot at the buzzer just missed. The upstart, No. 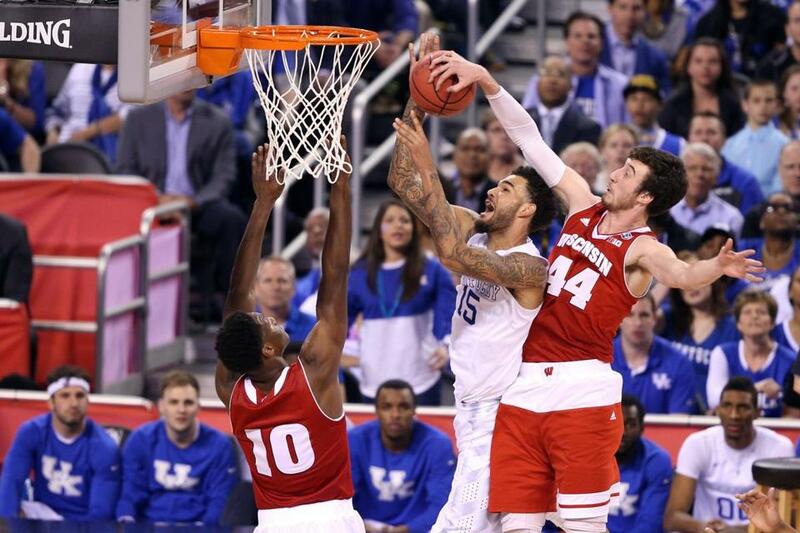 8 seed Badgers looked as if they were headed to the Elite Eight. 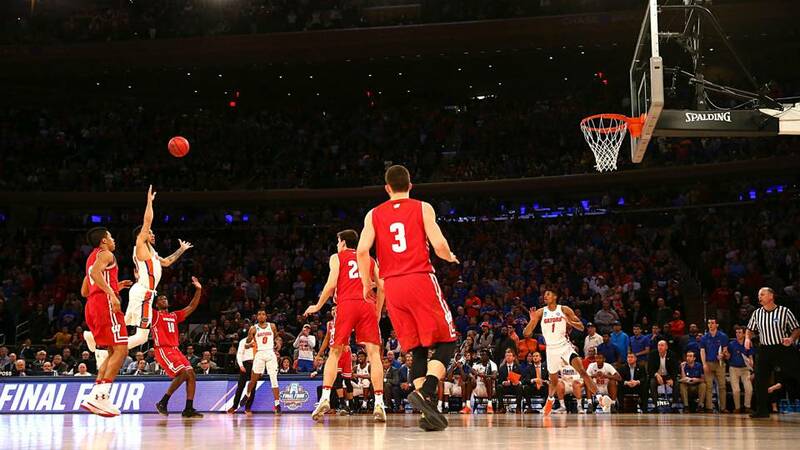 Then, Florida’s Chris Chiozza took the in-bounds pass with 4.0 seconds remaining in overtime, dribbled through the Wisconsin defense, and hit a running three-pointer for the win. It was a memorable finish to a game that also saw Wisconsin force overtime with Zak Showalter’s one-legged three with 2.1 seconds left. Adam Morrison, Gonzaga’s stud All-American, was overcome with emotion following the Bulldogs’ epic loss. Morrison broke down after his team blew a 17-point lead to the Bruins, including an 11-0 run to end the game. The last 40.8 seconds of this contest – with UCLA down by three – were nerve-racking for fans of both sides, and a perfect example of why the NCAA Tournament is perhaps the greatest event in sports. 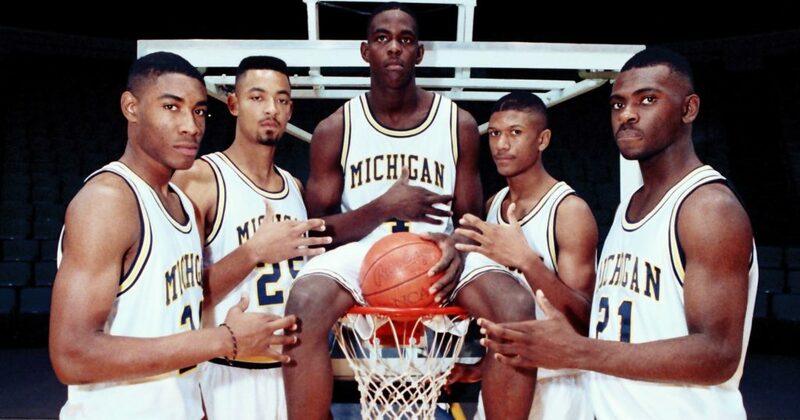 Think about the star power on the floor in this one: Worthy, Jordan, Perkins, Ewing. Both teams shot over 52 percent and that skinny freshman Michael Jordan drained a go-ahead jumper with 17 seconds left for the Tar Heels. 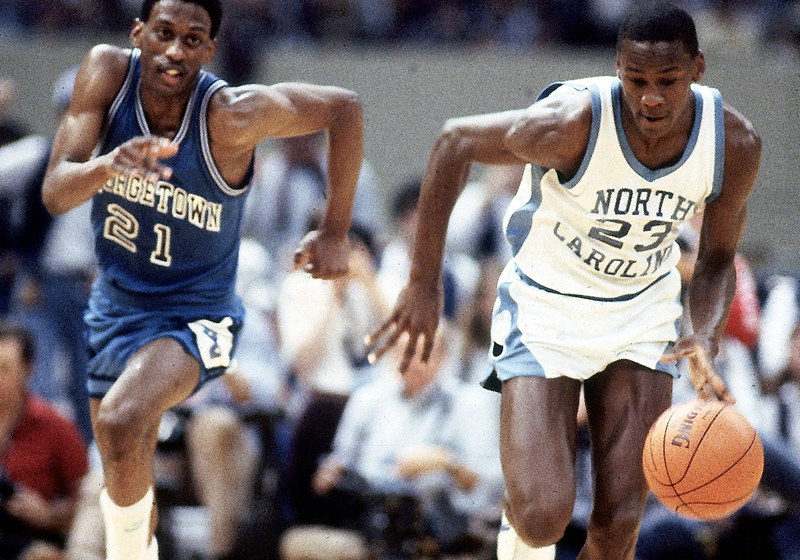 However, the game is mostly remembered for Georgetown’s Fred Brown throwing a pass directly to Carolina’s James Worthy, securing the win for Dean Smith’s boys. 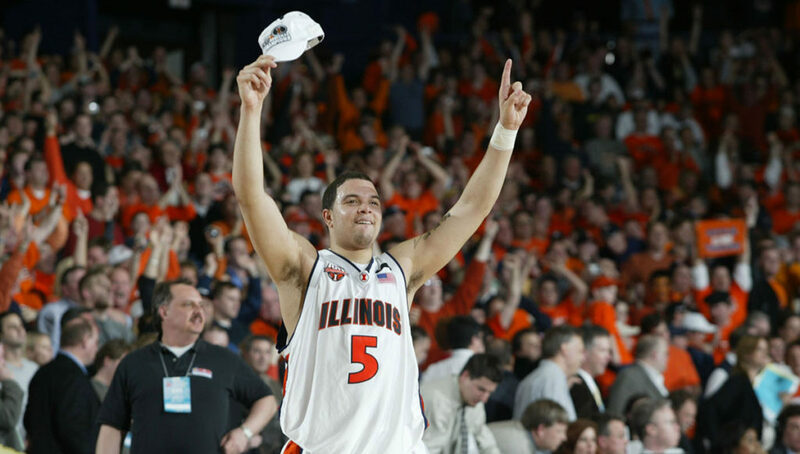 The Illini fell short of the program’s first National Championship in ’05, but its victory over the Wildcats in suburban Chicago might be the greatest game in the history of the school. Down 15 with a little more than four minutes to play, Illinois stormed back behind Deron Williams (22 points) and Luther Head (20 points) to force overtime in front of the pro-orange crowd. Hassan Adams’ jumper at the buzzer fell short for Arizona, leaving the Wildcats to wonder what could have been. 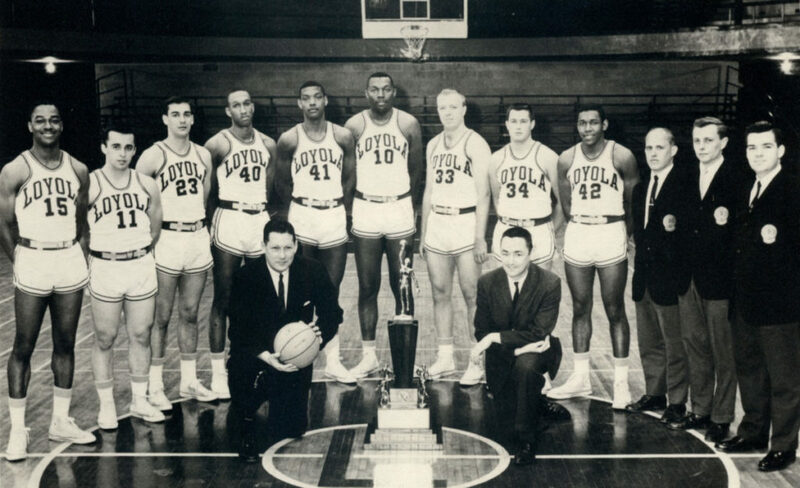 Basketball aside, this matchup was significant in the fact that Loyola played four African-American players at the same time – three years before Texas Western’s historic championship with five black starters. Led by star Jerry Harkness, the Ramblers overcame a seemingly improbable 15-point, second-half deficit to force overtime and bring the city of Chicago its only National Championship to date. One of the most competitive title games in tournament history tends to get lost in the shuffle when it comes to lists like this. Glen Rice capped his historic tournament with 31 points and 11 rebounds. Teammate Rumeal Robinson added 21 with 11 assists and hit some key free throws to help the Wolverines, and interim boss Steve Fisher, outlast Seton Hall. It’s possible Kansas will go another 20 years between National Championships, but its most recent was certainly memorable. The Jayhawks rallied from nine down with just over two minutes to play and forced overtime with Mario Chalmers’ clutch three-pointer. Kansas took it from there, spoiling Derrick Rose’s stellar season. Of course, history technically has no record of Memphis’ special season after its 38 wins were vacated following a probe into Rose’s eligibility. UCLA had won seven-straight National Championships, but had its 88-game winning streak ended during the regular season. However, the Bill Walton-led Bruins had the talent to extend their championship streak. 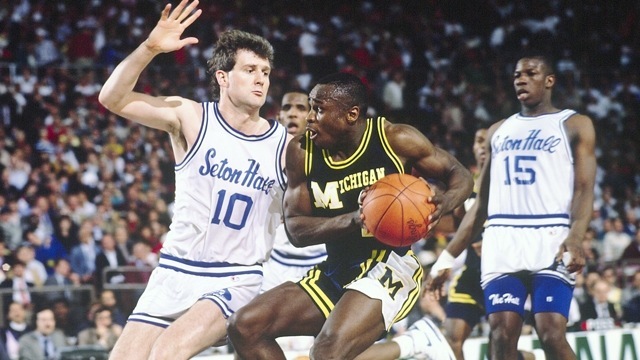 The Wolfpack had two of the game’s best in David Thompson and 7-foot-4 Tom Burleson. UCLA held a double-digit lead in the second half, but N.C. State rallied to reach overtime. That’s when Thompson and Burleson shined in the extra sessions to end the Bruins’ run. The eighth-seeded Wildcats remain the lowest-seeded team to win a National Championship. Their performance is legendary — not because they upset the heavily favored Hoyas (a team they lost to two twice during the regular season) — but because of how it happened. The Wildcats needed to be at their absolute best — and they were. Nova shot a blistering 78.6 percent from the field, while Georgetown only shot 54.7 percent. 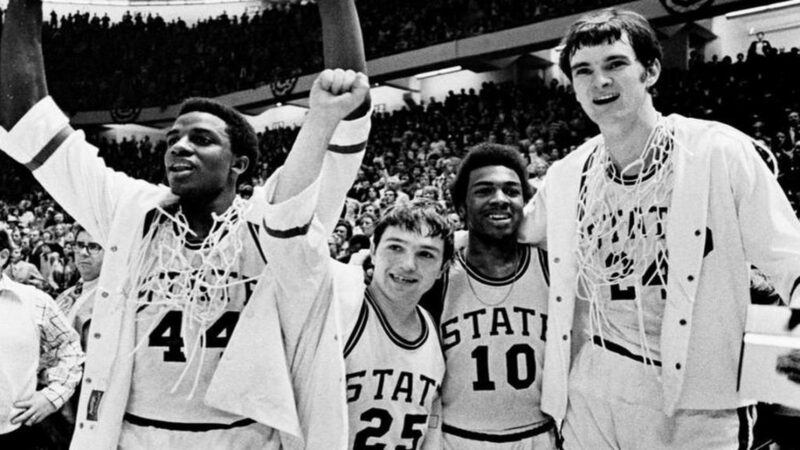 It’s often regarded as the most well-played National Championship in tournament history. This matchup featured a showdown between powerhouse coaches Bob Knight and Jim Boeheim. The contest was tight throughout, and Syracuse looked like it was headed to the program’s first National Championship. 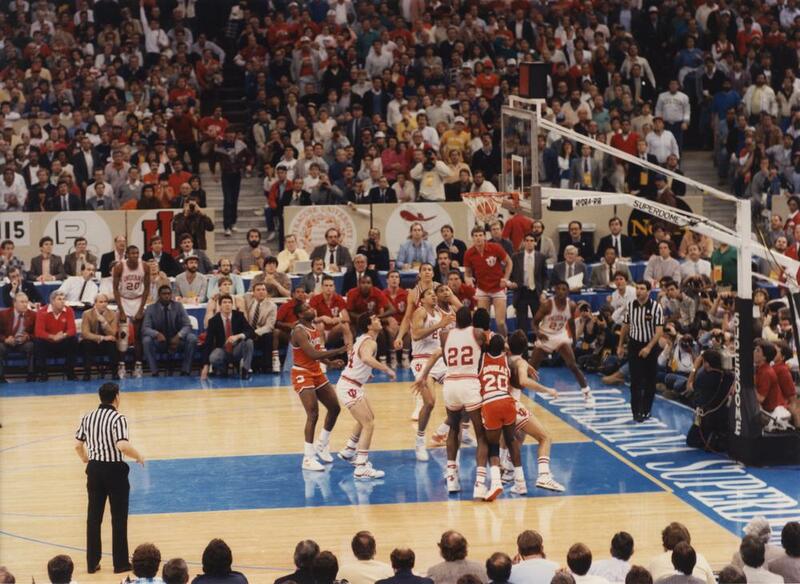 But Keith Smart took a pass, dribbled toward the corner, then launched a high-arcing shot that snapped the net and ultimately gave the Hoosiers their most recent title. North Carolina ranks third all-time with six National Championships, and the first might still be the most memorable. 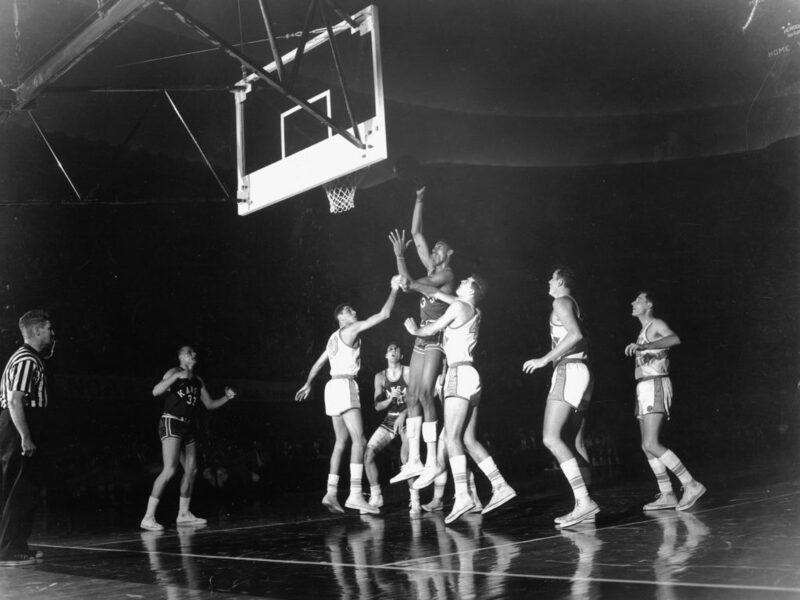 The Tar Heels were significant underdogs to Wilt Chamberlain and the Jayhawks, who shot just 31.9 percent and were outrebounded by UNC 36-25. Kansas rallied from a double-digit deficit to lead late before Carolina came back to force overtime. Three sessions later, UNC claimed its first natty. The defending National Champion Runnin’ Rebels were the best team in the country and poised to become the first program since Indiana in 1976 to finish a season undefeated. The Blue Devils, though, had other ideas. 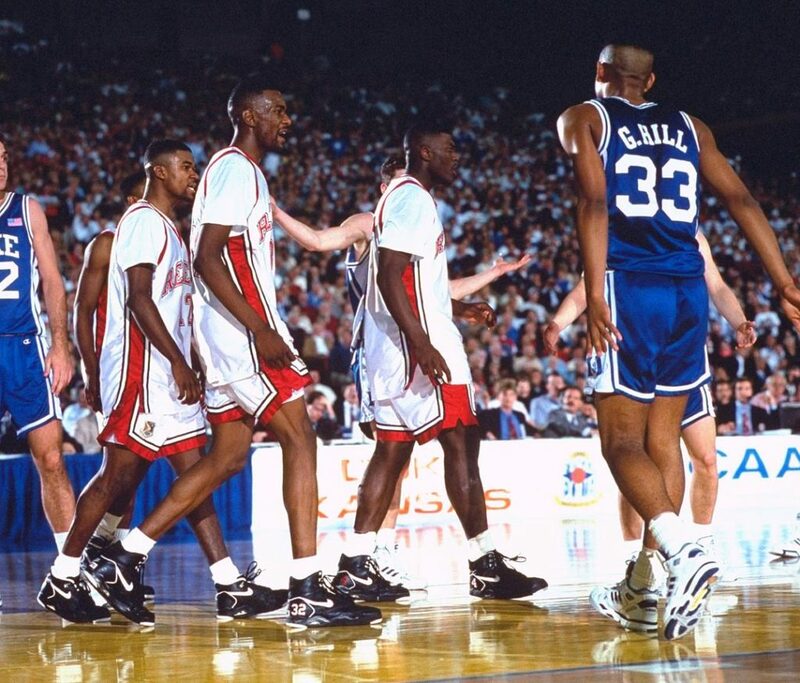 Despite losing by 30 to UNLV in the 1990 title game, Duke was a confident team. 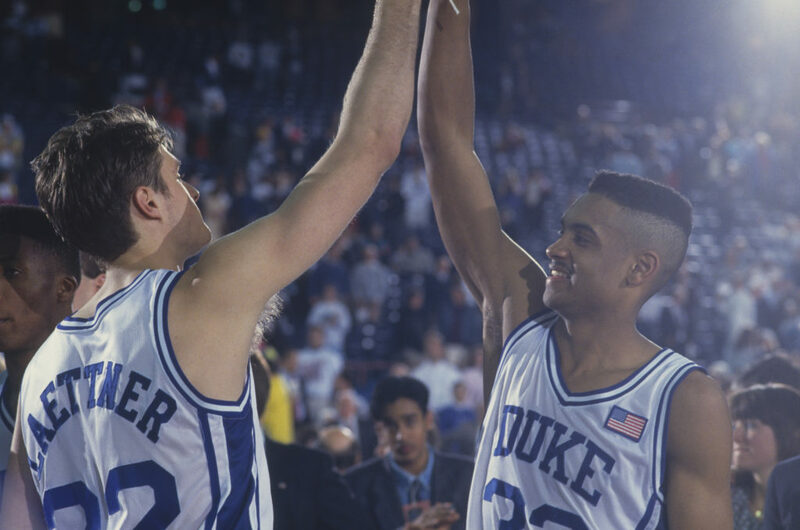 Its defense was stifling and Christian Laettner (28 points) led a 51.8 percent shooting effort en route to the upset. Considering what’s transpired since the Wolfpack’s impressive run through the ACC and NCAA Tournaments, this contest becomes even more special. Heavy underdogs, as it was most of the postseason, N.C. State hung around with Phi Slama Jama enough to pull off the dramatic upset on a Lorenzo Charles dunk at the buzzer. We can still see the late Jim Valvano running around the floor of “The Pit” looking for somebody to hug. 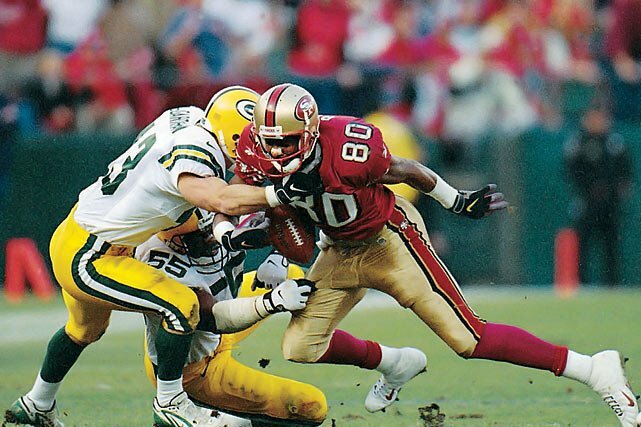 Easily one of the greatest games of all-time — undoubtedly No. 1 if it was for the National Championship — this contest had it all. Tempers flared, emotions were high, and both teams were at their best. The Wildcats shot 56.9 percent – and lost. That’s because of Grant Hill’s perfect three-quarter court pass and Christian Laettner’s catch, dribble and turnaround winning jump-shot. “Yesssss,” as Verne Lundquist put it. This game was great, even before the dramatic final seconds. These squads combined to go 19-of-31 from beyond the arc, so it’s only fitting the contest would be decided with a three. The Tar Heels’ Marcus Paige set the stage with a remarkable, off-balanced three-pointer with 4.7 seconds left to tie the game. 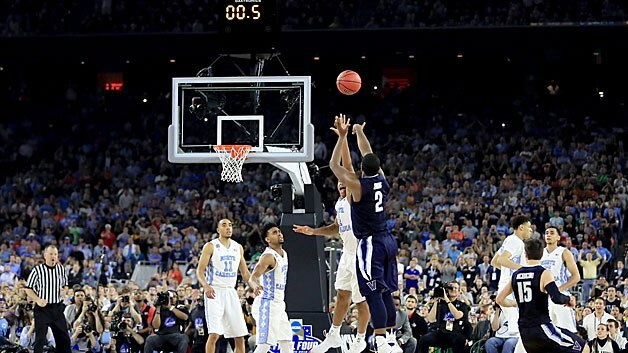 Then, Kris Jenkins hit perhaps the greatest shot in tournament history with his game-winning three at the buzzer.